Dream Bigger with Lottoland this Summer! 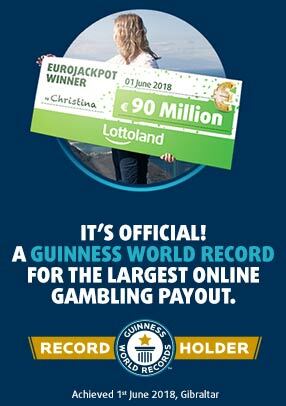 You already know that Lottoland offers Irish players a choice of some of the biggest and best lotteries in the world, which you can try from the comfort of home. Well, for the month of July we have a special offer especially for our Irish Lottolanders. You can play for double the current Irish Lotto jackpot - for no extra cost! Read on to find out more about our special Double Jackpot Promotion. To help you to celebrate the summer in style, we are offering a deal exclusively for our Irish Lottolanders. From June 29th when you place a €2 line bet on the Lotto, we will Double the Jackpot you can win, for no extra charge! That means that if the regular Irish Lotto Jackpot stands at €5 million, when you play with Lottoland in July you are playing for a jackpot of €10 Million! This offer is for our Irish players only, so play the Irish Lotto in July with Lottoland for the chance to win Double Jackpots! You must be living in Ireland to take advantage of this special Double Jackpot offer. Remember, the promotion applies to the Irish Lotto main draw only, not the Plus 1 or Plus 2 games. 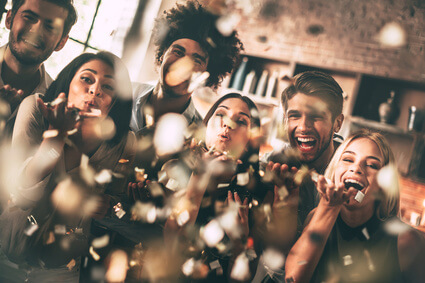 You can enter as many times as you like for the chance to win twice the normal Irish Lotto jackpot in July, so you won't need to wait for roll-overs to play for multi-million euro prizes! 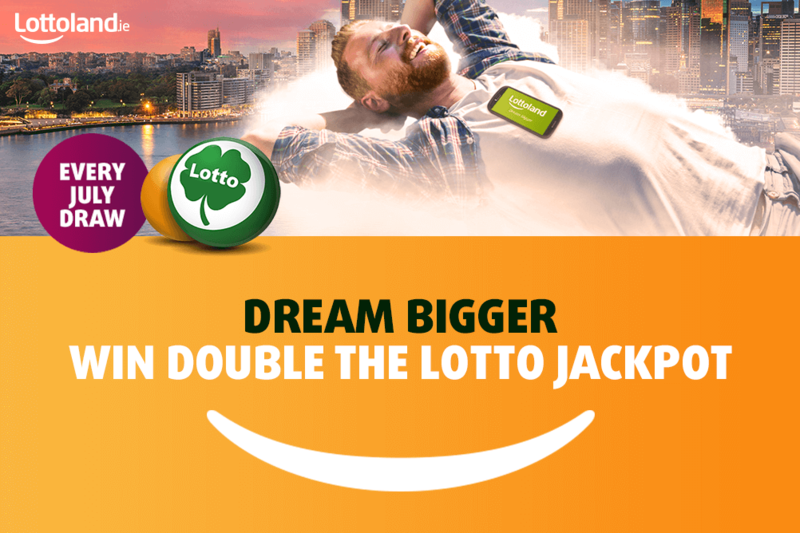 Dream Bigger this July and make it a summer to remember with Lottoland and Double Jackpots on the Irish Lotto! This promotion runs from 30-June until Sat 29-July 2017. Only players whose registered address is in Ireland can qualify for this promotion. This promotion is open to both new and existing customers but will not be awarded on free line welcome offers. This promotion only applies to the Irish Lotto product. The Double Jackpot feature will automatically be applied to all Irish Lotto lines at no cost (“The Promotion”) and can be claimed on an unlimited number of lines within the promotion period. This promotion can only be used for lottery draws settled within the promotion period. If a subscription is taken with the Double Jackpot feature enabled during the promotional period (30-June - 29-July 2017), then such subscription will be cancelled on the 1st of August 2017. Any participant found to be operating multiple accounts, in promotions, will be in breach of these and our general account terms and conditions.